How times have changed. 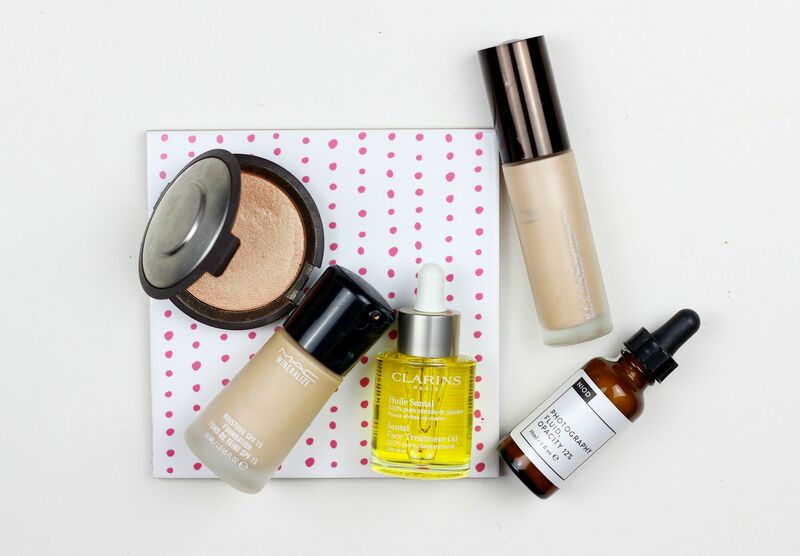 Along with trying to drink as much water as possible and getting enough sleep, I rely on lots of lovely products to always give my skin an instagram-worthy glow. The Clarins santal oil is designed for dry skin, and it is one of the best skincare products for giving skin an instant dose of hydration and glow. I find massaging this in for around 2 minutes gives the best results, and leaves your skin looking so healthy and feeling so nice. Good, glowing skin starts before makeup I think! If you’re more inclined to fake it until you make it (me too), then the best way to go is an illuminator. My two most-trusted – the Becca backlight primer and the Niod photography fluid. Both are hydrating and make any further base go on smoother as well as providing a gorgeous sheen to the skin. My foundation for glowiest skin is the MAC moisture foundation. When worn with an illuminating primer underneath, the foundation makes your skin look like it’s bathed in candlelight. For the finishing touch, it wouldn’t be a post about glowing skin without a hefty amount of highlighter would it? For the one with the biggest impact, I always go back to the Becca shimmering perfector in Champagne pop. What are your go-to glow-enhancing products?